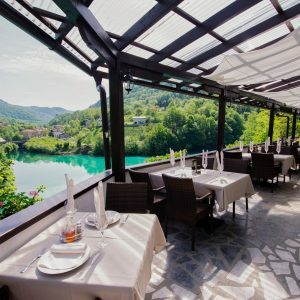 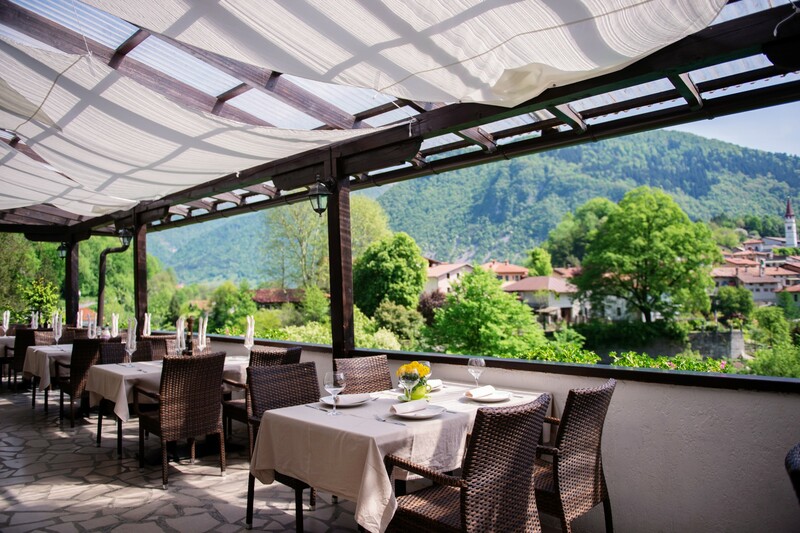 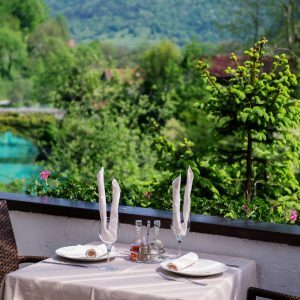 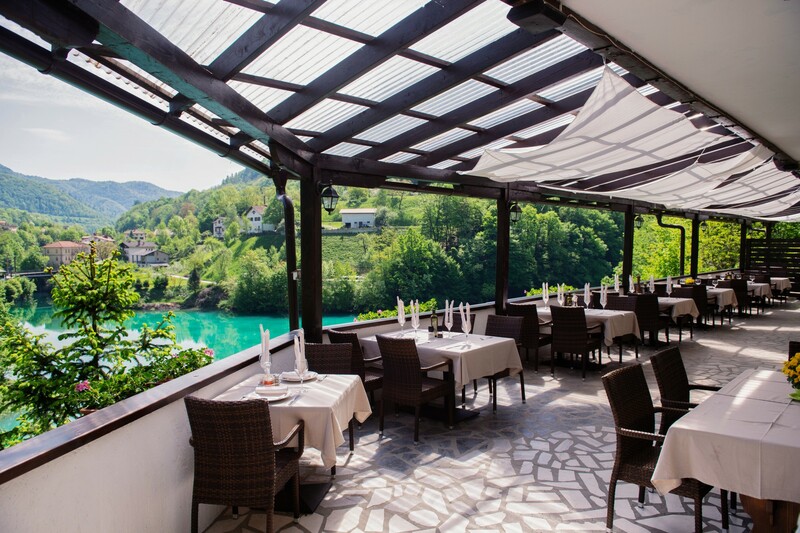 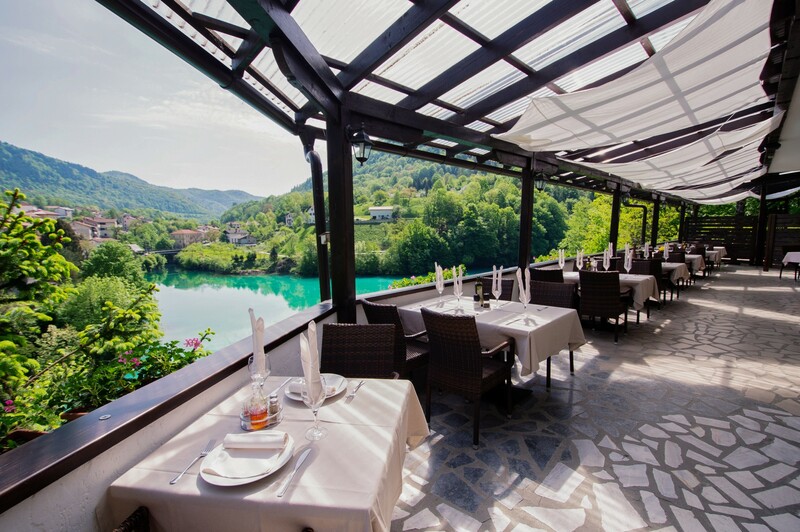 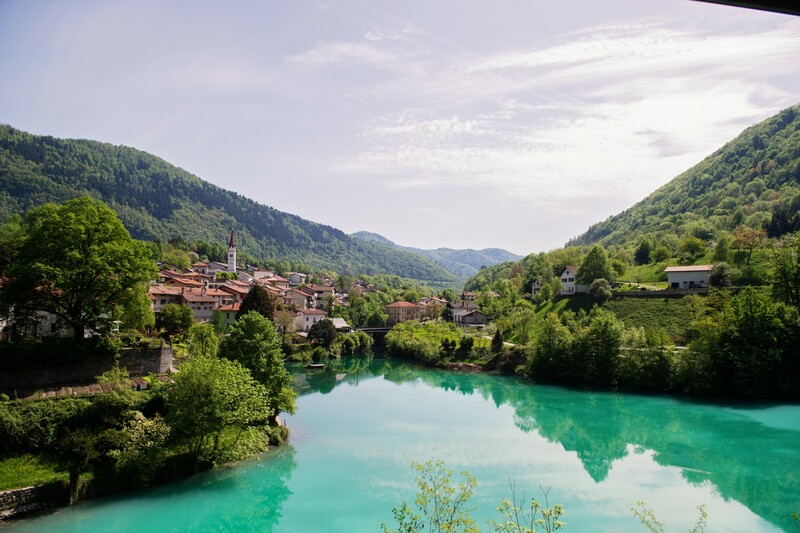 Lovers of nature and good food can relax on a terrace above the confluence of the Soča and the Idrijca, taking in the breathtaking view and enjoying great food made with local ingredients. 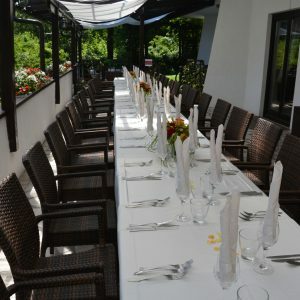 The restaurant can seat 50 guests. 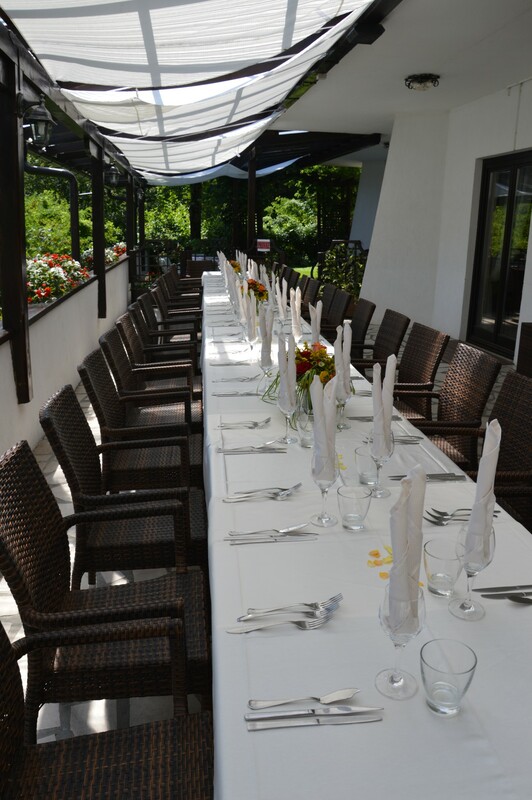 The same number can be seated in the summer garden. 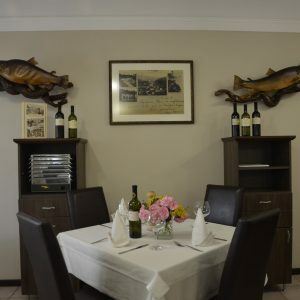 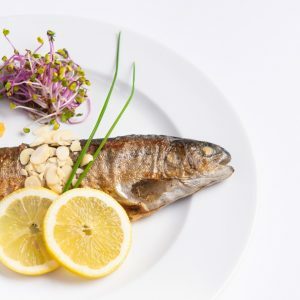 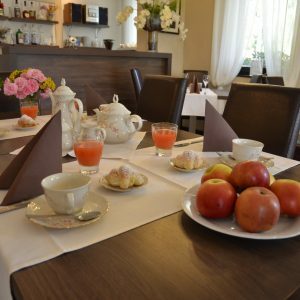 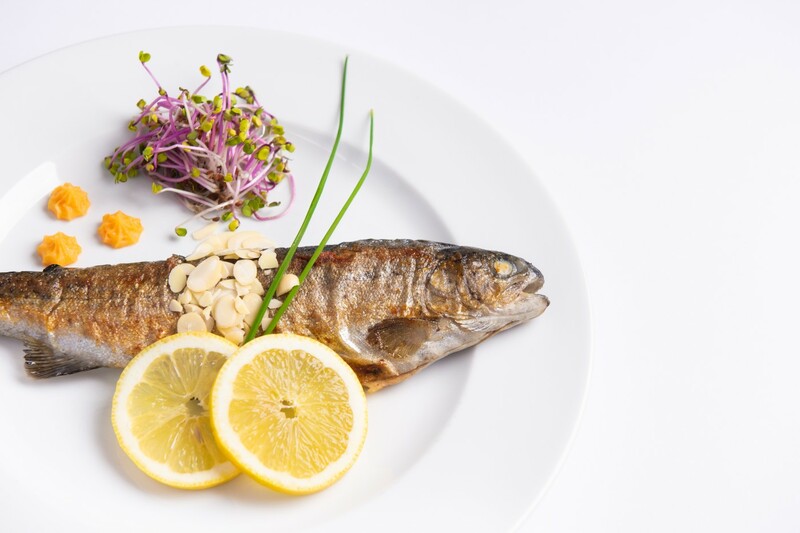 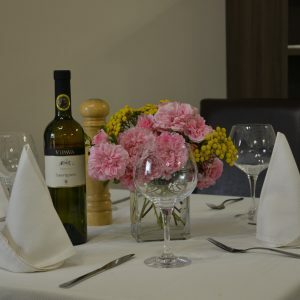 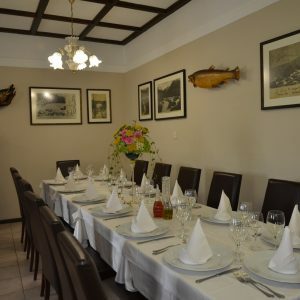 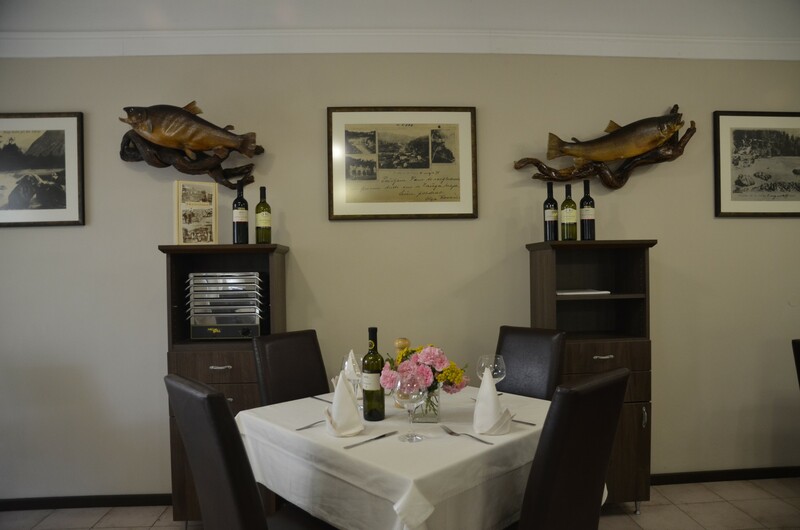 We offer à la carte dishes and our speciality is trout – the best in the valley. 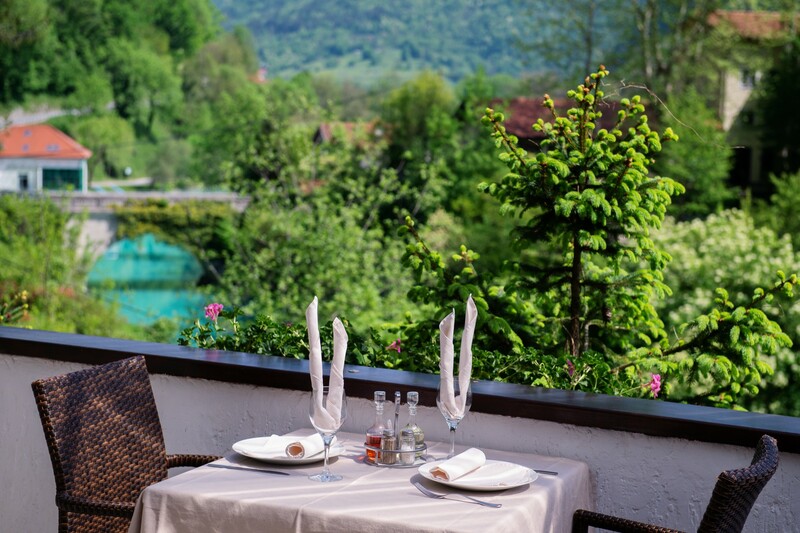 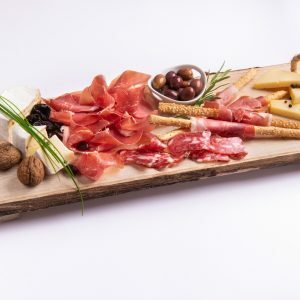 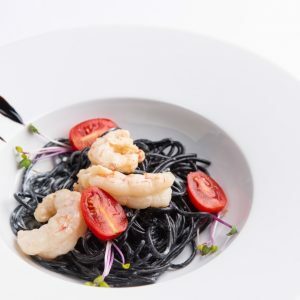 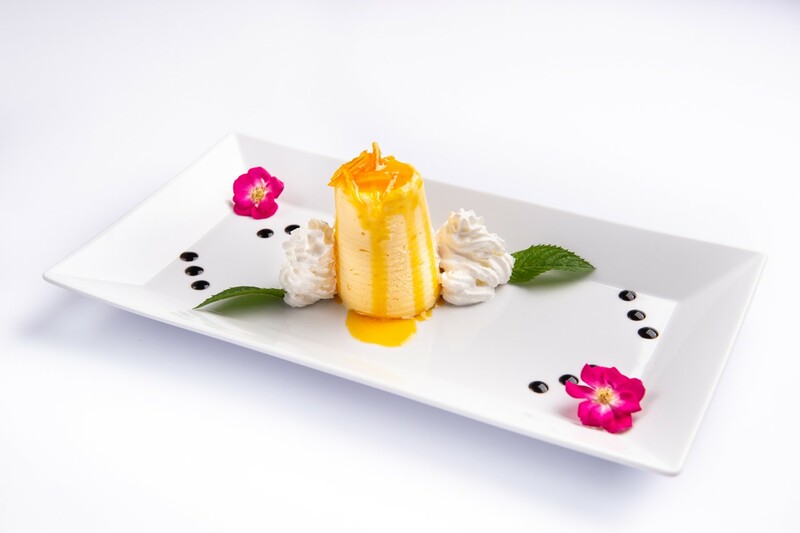 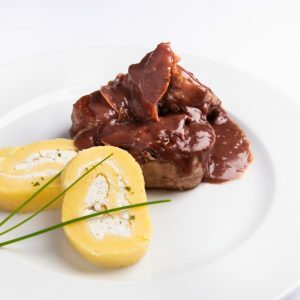 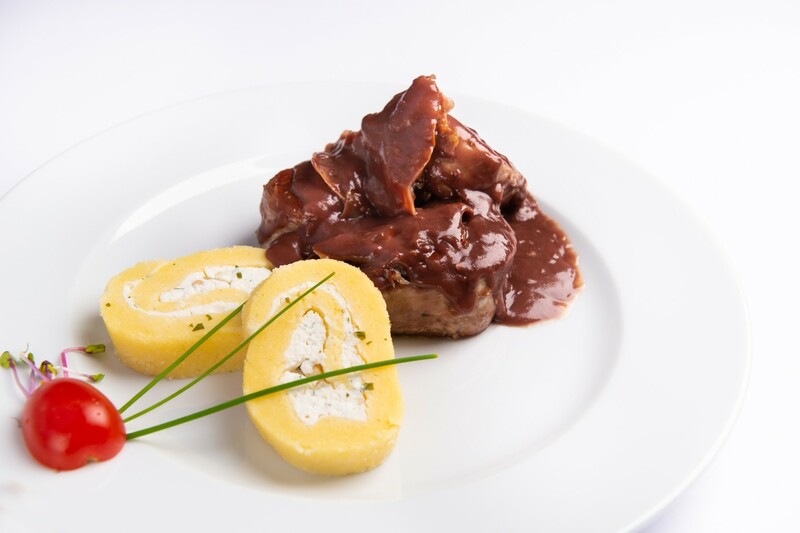 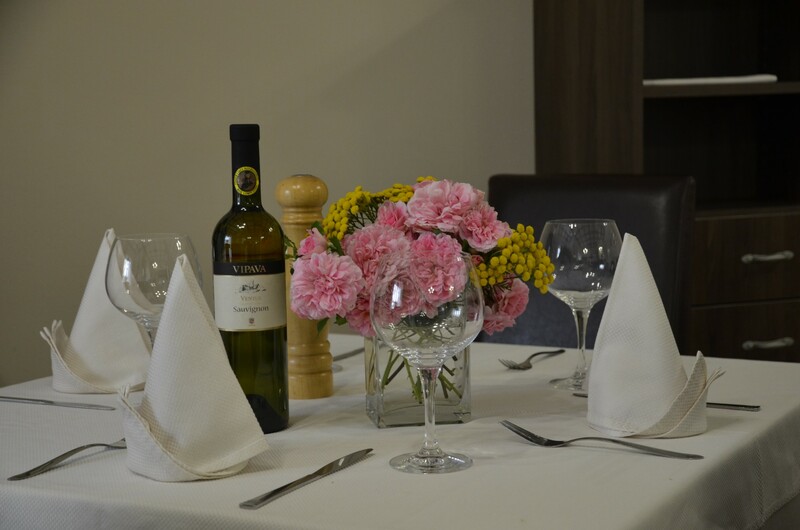 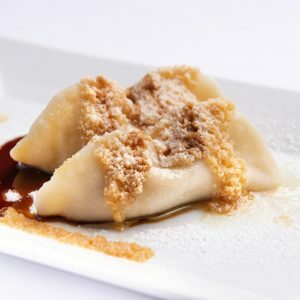 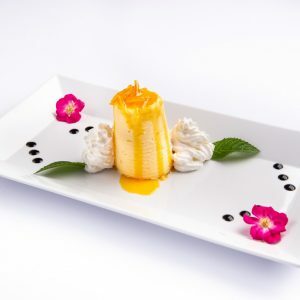 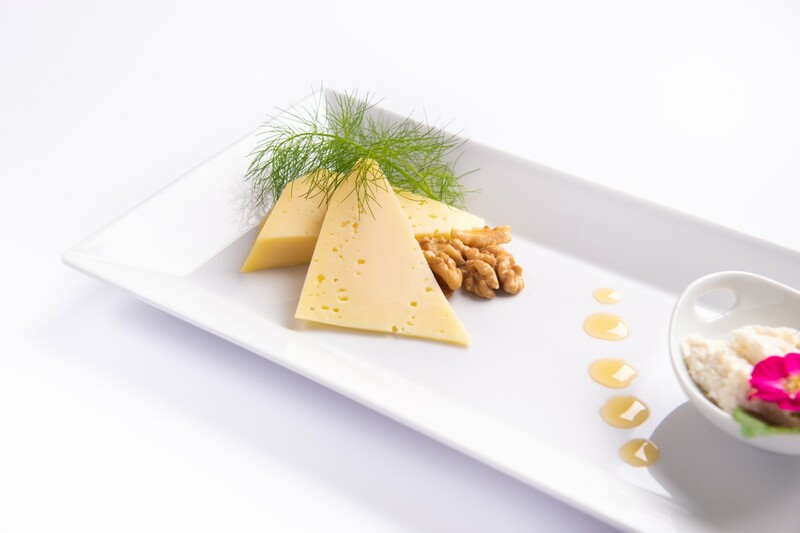 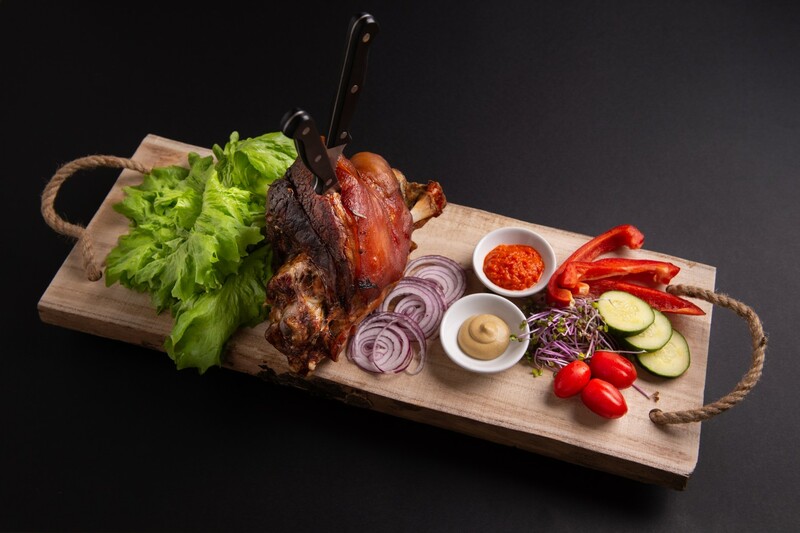 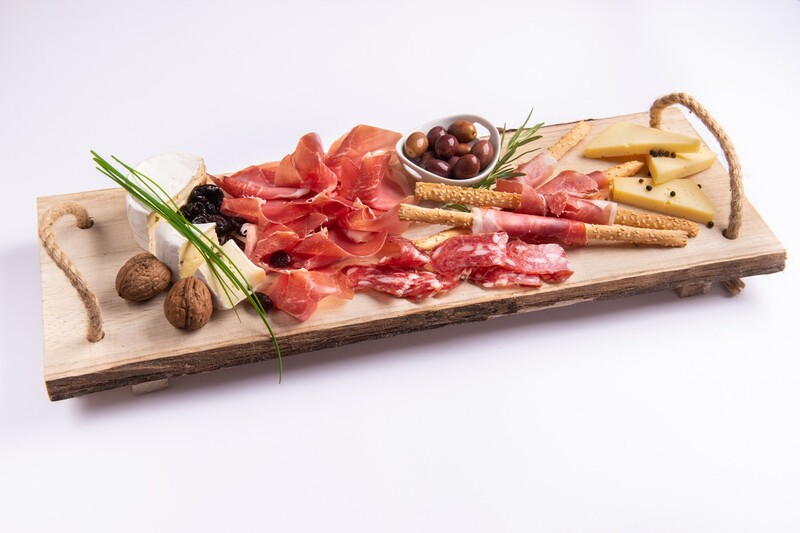 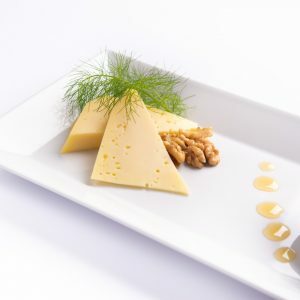 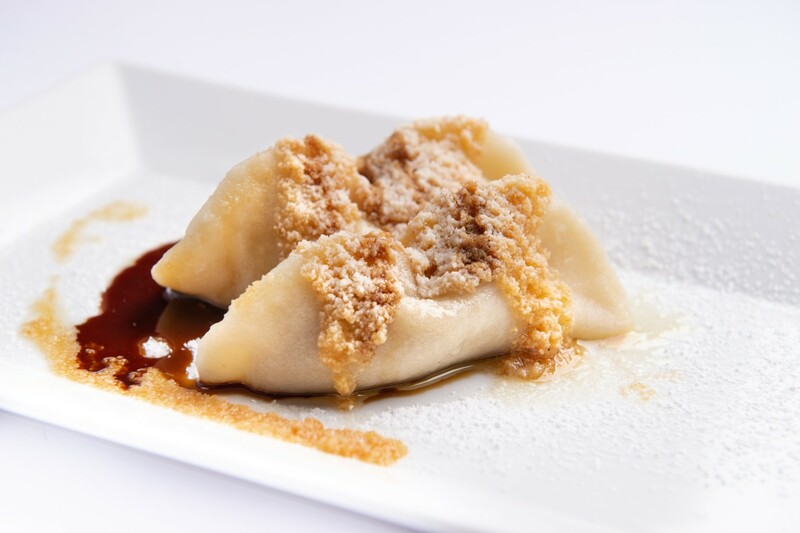 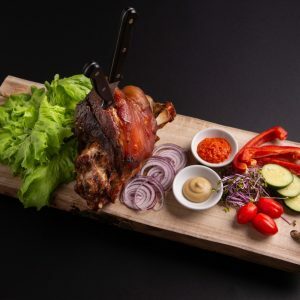 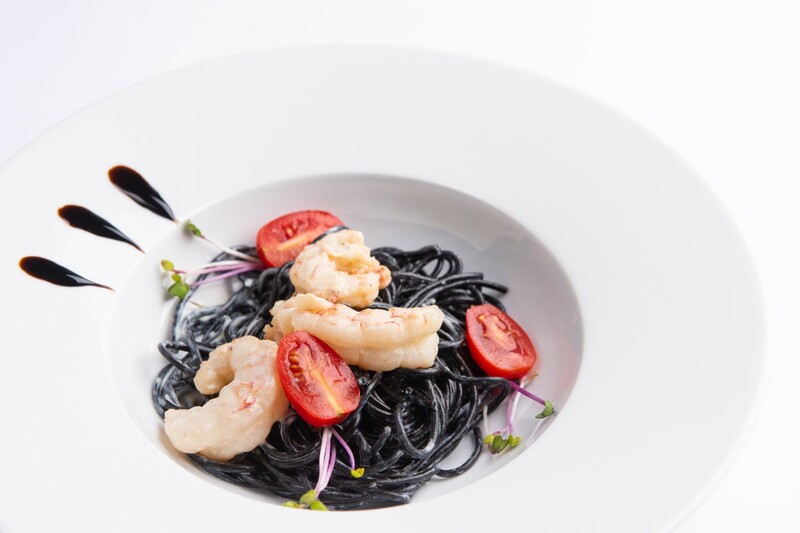 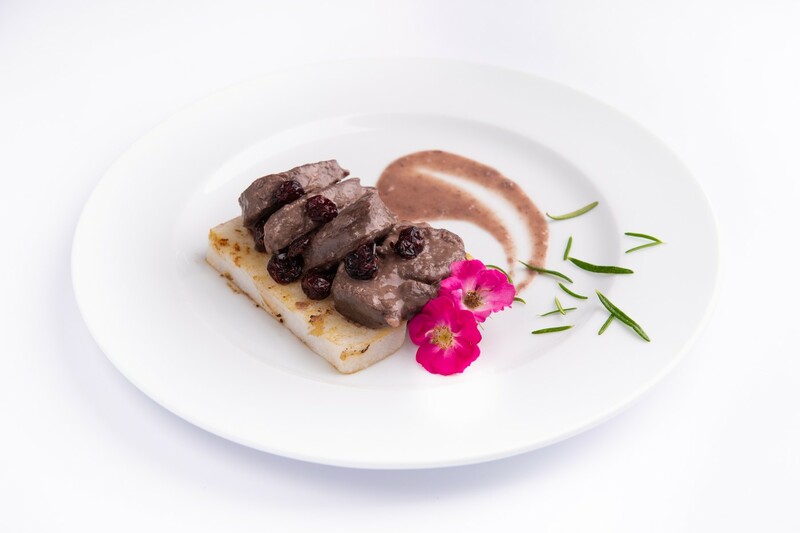 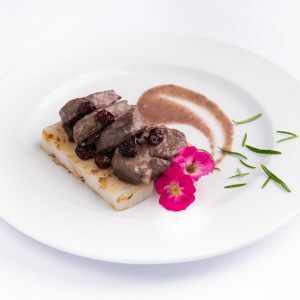 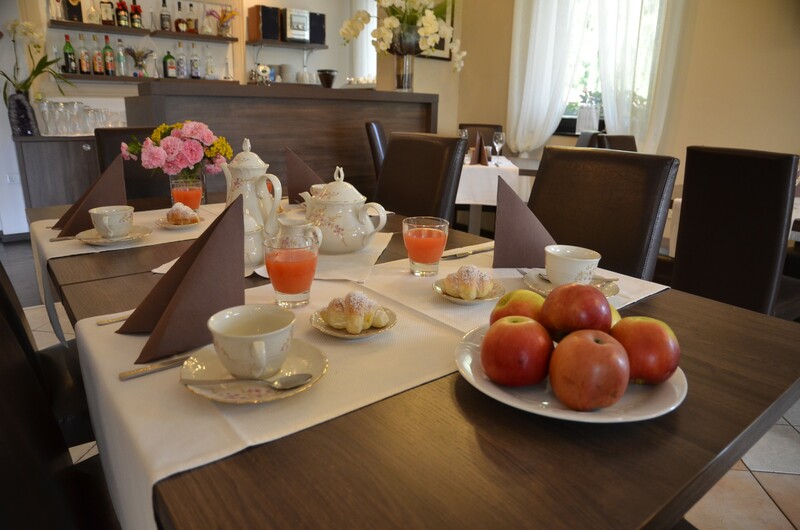 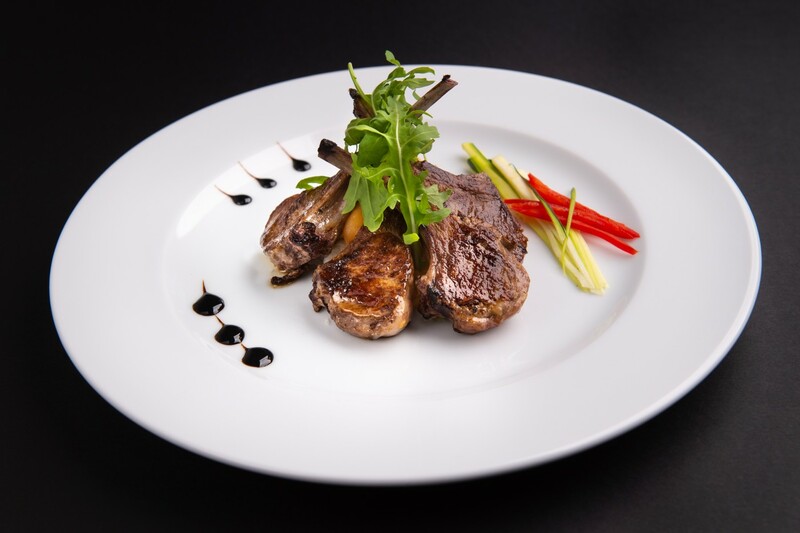 Our original Soča Valley Menu guarantees plenty of satisfaction for gourmets. 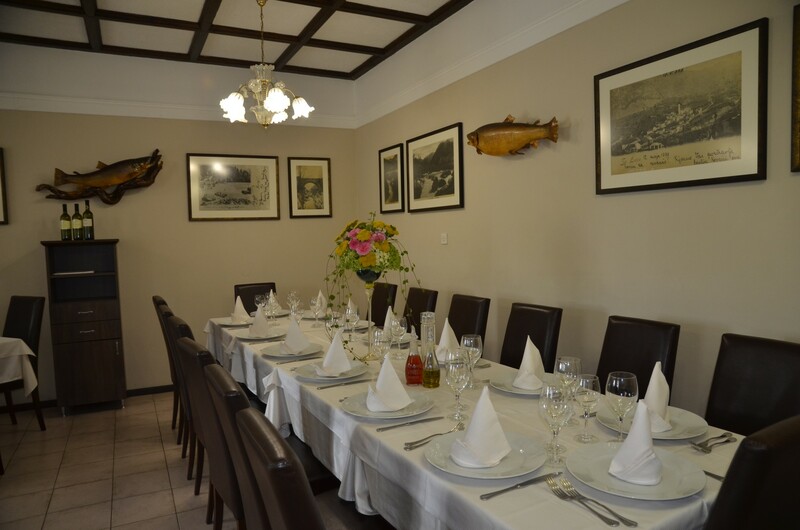 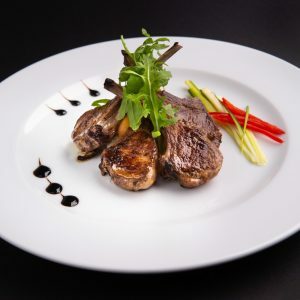 You will not be disappointed with our choice local cuisine and service.